SEO or Search Engine Optimization is much more essential than people think it is. Adhering to the rules of SEO can not only increase your search traffic by a dramatic amount but can also increase exposure of your website to people of all kinds, regions, and ethnicities. Generally, when people talk about SEO, they are talking about On-Site SEO, which refers to the changing of image and page titles, improving of article content and other formatting improvements that help Google classify the website as one of good quality. However, there are several SEO strategies that have to be followed on other platforms, other than the website, in order to improve the search ranking of the site on Google. Called Off Site SEO tactics, these strategies are the ones being touched upon in this article. Blogging is extremely popular in recent years. 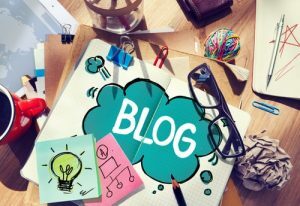 To keep your website fresh, well updated and interesting to read, especially for non-profit organizations that wish to draw people into their cause, creating a blog is a very good idea. You can write blogs about anything and everything related to your cause, but keeping it restricted to topics that pertain to your nonprofit’s website is recommended, as it encourages readers to return to your website and look at the more technical details and other options. Blogging is a great SEO tactic to use, especially for Google. As you submit new content to your website on a regular and frequent basis, Google’s search bots are forced to review your website more frequently as well, and if your quality is top notch and relevant to today’s users, your search ranking will automatically improve. There are several ways to promote your blog and website and increase your search traffic, but the most popular and effective one is to comment on other people’s blogs. This method works well and exposes your blog to everyone reading the blog you comment on. Thus, search traffic is increased, and search bots begin to assign a higher spot in the search rankings to your website. Writing reviews on other people’s nonprofit organizations as well as having close friends write reviews about your organizations is a solid strategy to improve your reputation as well. 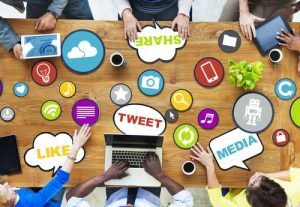 Creating pages on social media such as Facebook, Twitter, Google +, LinkedIn, Instagram and so on are great ways to improve your search rankings and popularize your cause. Perfect for advertising, share details and opinions and create a fan following or customer base, these social media websites are great ways to show that your website is a popular one which can be considered to have great quality, as poor quality sites rarely put in an effort to create Facebook pages for themselves. Google’s search bots also scan social media for such pages linking to websites, and so these pages can thus directly influence your search ranking as well as your search traffic, especially if these pages are popular in the media. Another method to SEO your way to the top using social media is posting videos that appear on your website on YouTube or Vimeo. It helps Google establish that you are legitimate with the added benefit of popularizing the content of your website. Social bookmarking is the process of bookmarking or submitting the links to particularly interesting articles, blogs or pages of your website to bookmarking websites such as Reddit, Delicious, and StumbleUpon. Google bots love such websites as their content is frequently updated and increases the search traffic of websites significantly. So, if your website bookmark is popular on this website, it will prompt them to boost your search rankings. 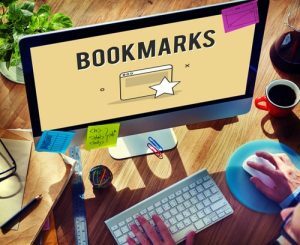 Social bookmarking can be done in several ways, and the benefits of social bookmarking will show with time and patience. If you provide a local business or are not globalized, you will find that focusing on your target audience and the people around you will ultimately boost your search ranking a lot more than focus on a worldwide perspective would. It will lower your competition and raise you to the top on local searches. Listing your website on local directories is a good way to make you popular on a local scale. Submit your site’s link to Google Maps, Google Local, Yahoo Local and Yellow Pages as well. Thus, you have four reliable methods to improve your Google search ranking using Off Site SEO, using which you will be well on your way to popularity and a boost in search traffic. So, go ahead and try implementing these methods in order to boost traffic to your website. Get weekly posts and updates to stay up to date on what we're doing.